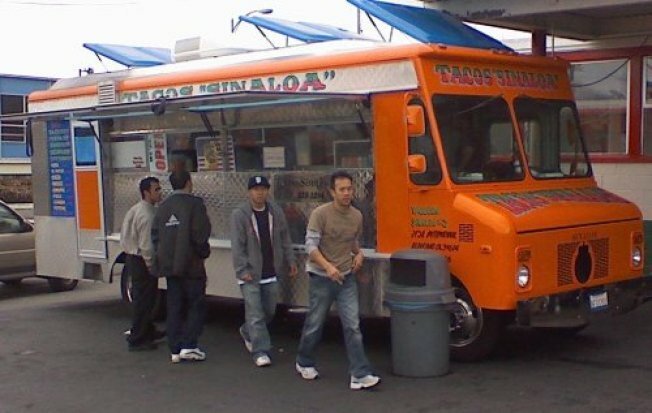 California Taco Trucks blogger and NPR contributor Cyrus Farivar is organizing a free bike tour of taco trucks around the East Bay city's Fruitvale district. Riders will meet at the Lake Merritt BART station at 12:30 p.m. and ride around Oakland sampling tasty delights served out of the back of taco trucks. The three hour tour promises not to get you lost and introduce hungry riders to five trucks along Foothill Boulevard. Interested parties should RSVP via email at Cyrus[at]CaliforniaTacoTrucks.com and type "Fruitvale taco truck bike tour" in the subject line.